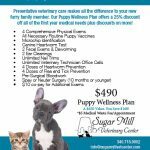 One of our primary missions is to reduce the overall energy consumption of the Sugar Mill Veterinary Center. Smart Building Automation System – Computerized building control system monitors energy use and ensures devices are shut off when not in use. Daikin HVAC system – Highly efficient HVAC system with multi-variable inverter technologyconsumes significantly less power than traditional cooling systems. LED Lighting System – LED lights utilize only 10% of the electricity required by conventional bulbs, are extremely long-lived, and produce no heat. ENERGY STAR Appliances – All major appliances are ENERGY STAR-rated for high energy efficiency. Roofing Materials – Thermal Control Membrane radiant barrier insulation reduces solar heat gain. Force 10 Pre-Engineered Building System – Highly insulative wall panels minimize solar heat gain and reduce interior cooling requirements. Solar Photovolaic (“PV”) Electric System – The Center’s roof features an 8.0 kilowatt grid-tied solar PV system consisting of 36 Sharp solar photovoltaic panels and an SMA inverter. The PV system is monitored by Fat Spaniel Technologies which provides real-time and historic data on the system’s performance. Wind Turbine Electric Generator – The Center installed a grid-tied Skystream wind generator manufactured by Southwest Windpower, which also provides real-time monitoring of the system’s performance. Solar Water Heating System – The Cemter utilizes an ES Solar water heating system to provide all of its hot water requirements. By heating water exclusively with solar thermal power, the Center avoids using over 3,000 kWh of elevtricity per annum that would be required with a conventional electric water heater. Paperless Practice Management System – Greatly reducing paper usage while providing greater security and function. Digital X-Ray Technology – Eliminates the toxic chemicals associated with traditional film-based X-ray machines. Rainwater Collection System – Under ground cisterns collect rainwater from all roof surfaces and provide all of our water needs. Flooring Materials – Low maintenance ceramic tile floors along with special epoxy grout reduces cleaning requirements and eliminates the need for toxic chemical cleaners. Parking Lot – Permeable parking lot paving materials improve rain runoff profile while avoiding the solar heat gain associated with asphalt; parking curb barriers are made of recycled plastic.